With the rising population in the urban parts of India and the increasingly rampant urbanization of even the rural areas, people are getting more buying capacity. And that has made them more aware of their health in the last couple of years. Access to medicines and other health products has become a priority for Indians across the country. Business and Tax Registration: First of all, you need to make sure that all the registration processes are taken care of. You will have to choose one of four options. The four options are Hospital Pharmacy, Standalone Pharmacy, Chain Pharmacy, and Township pharmacy. Depending on where you wish to start the medical shop and how you plan on creating a set of customers, you will have to choose one of these four options. Following this, you will have to choose the way you want to register your business as a legal company. You will have to choose one out of LLP or Private Limited Company. After you’re done registering the company, you will have to make sure that the tax registrations are done right. Obtain a GST number and other paperwork is very important for your business. 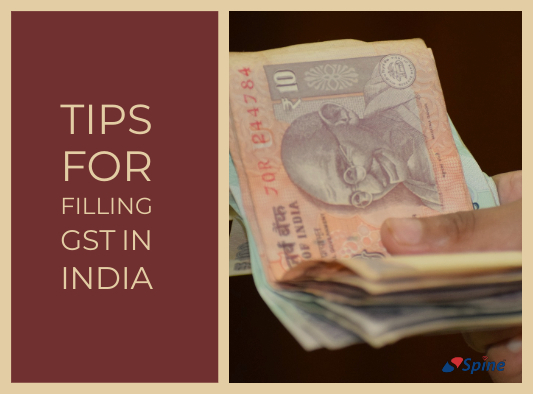 For streamlining your tax process, you should employ good GST software. Pharmacy or Drug License: To start a pharmacy business, a drug license from Central Drugs Control Organization as well as State drugs standard control must be obtained. Retail Drug License (RDL) is given to pharmacies whereas Wholesale Drug License is required if you and your company is going to be involved in the wholesale business of medicines and drugs. The requirements for getting a license include a minimum of 10 square ft. area of operation, refrigerated storage facility, and qualified staff. Go Digital: To make sure that your medical shop succeeds and has a lot of customers, you will have to understand the digital world and use it to grow your business. First of all, you need to sign-up for Google Business so that people can discover your shop via Google Maps. Following this, you need to get on social media and engage with your customers. You should also go for medical shop software to make sure that everything in your business is running smoothly. Not only this, you can even integrate with your GST software to reduce paperwork for your business. Give Buyers a great experience: For making sure that the customers visit your shop regularly, you have given them an amazing shopping experience. A medical shop billing software can save a lot of time of your consumers and you can even provide them an invoice with it. You should also accept payments online and cards to attract more customers who are tech-savvy and believe in going cashless. 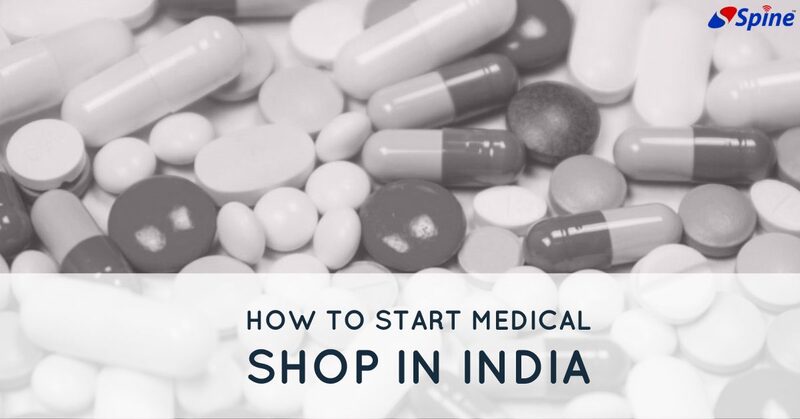 So, this was all you needed to know about how to start a medical shop in India. Have any questions? Feel free to ask us in the comment box. Author espinePosted on April 4, 2019 April 4, 2019 Tags gst software, how to start a shop, medical shop billing softwareLeave a comment on How to start a Medical Shop in India? Every business person worth his salt would dedicate the due time to understand the fiscal union budget of the nation because of how crucial it is to drive the economy of country, and influence their business itself. As the elections are just around the corner and everyone was glued to the tabloids so they can know each and every aspect of the budget. 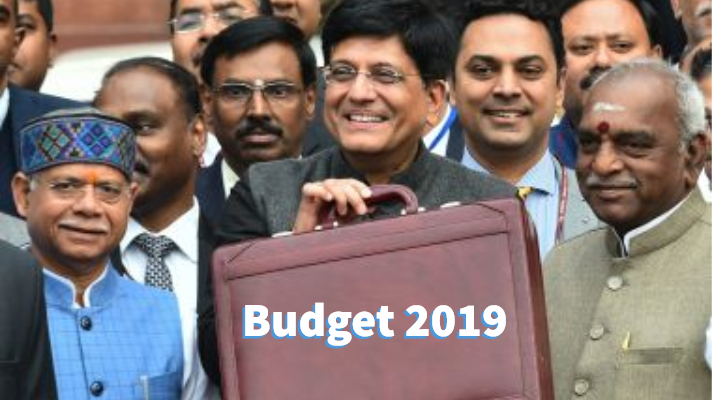 And for the right reasons, the interim budget somewhat lived up to the hype that had been created before it was presented by Piyush Goyal, Minister of Finance. While the government was commended for its step to exempt taxes on the middle-class and even welcomed by the public, the announcement of ₹6000 in income support for the farmers was criticised for being insensitive by the pundits as well as the public too. Let’s talk the numbers: Breakdown of Budget. If you notice, the collection from the GST has already started making an impact. Many factors such as steps taken by government and ease of paperwork due to products such as cloud GST software and billing software can be given the credit for this. Contrary to the popular belief, the tax slabs will remain the same for the year 2019-20. The tax on the second house rent of second occupied house shall be exempted. The tax rebate limit under Section – 87A shall be increased from Rs 3.5 lakhs to a whopping Rs 5 lakhs. This move has been appreciated by public on a wide scale. TDS limit for post-office and bank savings has been increased along with the TDS threshold on rent. For the housing projects approved before 31st March, 2020, the benefits under Sector 80-IBA shall be extended for one more fiscal year. SMEs that earn less that Rs 5 crores will have to file GST only once in 3 months. The sourcing of SMEs by Government enterprises has been increased to 25%, out of which a 3% is reserved for SMEs owned by women. Reforms in the Banking and Financial Sector. The increasing number of outstanding loans in the public sector was one of the major considerations in the interim budget. The total amount for these outstanding loans increased from Rs 18 lakh crores to a magnanimous Rs 52 lakh crores. Prompt corrective action (PCA) is being implemented and only 3 public banks are kept out of this as of now. Insolvency and Bankruptcy code (IBC) has devised a resolution-friendly mechanism to speed-up the recovery of NPAs. Recapitalisation of public sector banks will be done too in this fiscal year. A sum of Rs 2.6 lakh crores has been assigned for this very purpose. As the pressure from various fronts was mounting, the government made an attempt at wooing the farmers too. However, it didn’t receive the response that they’d expected. Pradhan Mantri Kisan Samman Nidhi has been introduced with a promise to pay Rs 6,000 annually to the farmers. Minimum Support Price (MSPs) has been introduced with rates 50% more than the cost for all the 22 crops which can be a major relief for the farmers. Author espinePosted on February 12, 2019 February 12, 2019 Leave a comment on Interim Budget 2019 Unravelled: Everything You Must Know! GST, Goods and Services Tax also defined as a direct tax which has replaced many indirect taxes in India. The act came into effect on 1st July 2017 and is a comprehensive, multi-stage, destination-based tax that is levied after every value addition. In case of intra-state sale, Central GST and State GST both are charged. In case of inter-state Integrated GST is charged. 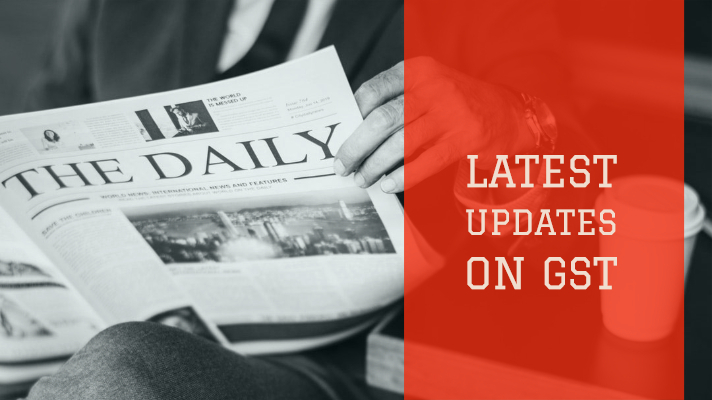 Welcome to our bimonthly GST Update post. Without any further ado, let us discuss the latest developments about the GST. Many of our readers and customers have been asking us to write about the impact of GST in the IT industry. So, we’d like to start with that. One of the most important things that has been seen in the IT sector after the roll-out of Goods and Services Tax is ITC. ITC is also called as Input Tax Credits and is very popular among decision makers and other individuals working in the IT sector. Companies and traders in the IT industry selling goods and services could not claim service tax paid on AMCs for their computers and software before GST. With ITC, it has been made a cakewalk. GST on IT sector attracts 18% of software services provided by software companies. For purely software services, the cost of such services will increase under GST. If you have a software business then you need to change your accounting system and ERPs to get them in sync in with GST. This would increase infrastructure costs and also management costs. 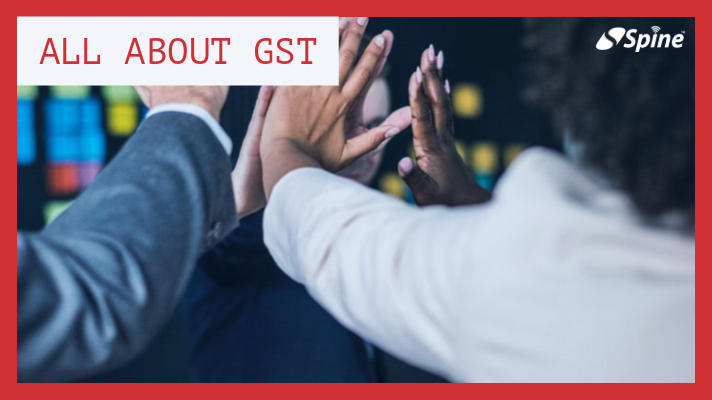 Most large companies in fact do set up teams to manage their GST. 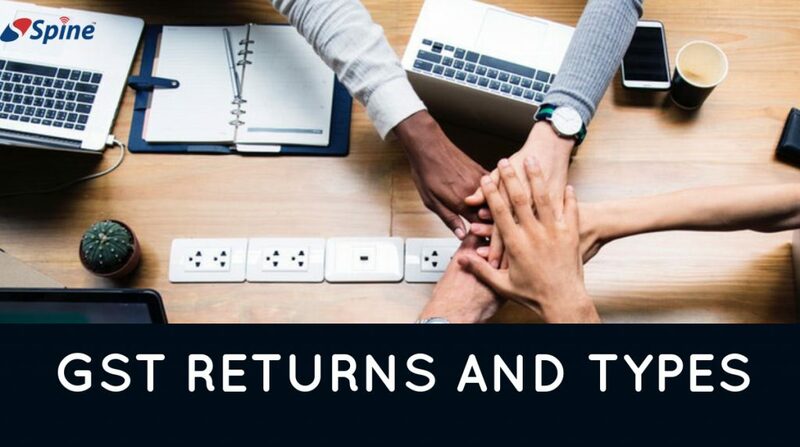 In case you are a taxpayer who’s GST registration has come to and end you are required to give the final return in FORM GSTR-10 till 31st December 2018. The 30th GST Council meet was held via video conferencing and revolved around the administerial progress made in GST system. There was also discussion in levying cess in case of exigencies. A seven member group of ministers was formed to submit recommendations to the GST council by 31st October 2018. The council recommended 10% cess to recover loss due to Kerala floods. October GST collections topped Rs 1 lakh crore. In a tweet by finance minister, he attributed the success of GST to lower rates and lesser evasion and higher compliance. The GST revenue rose to Rs 94,442 crore in September and the government was hopeful that it could surpass the landmark of Rs 1 lakh crore in the following months due to the festive season. This GST prediction suggests that collection might be improving and economic growth is set to be better in the second half of the financial year. So, these were the latest updates about the Goods and Services Tax (GST). Found anything useful? Share it with your colleagues and friends. Feel free to let us know your thoughts in the comment box. India finally adopted the Goods and Services Tax in the July of ___. Aimed to establish a singular tax over the entire nation, the GST unites the myriad pre-existing taxes under one umbrella. But India is not the first country to introduce a tax aimed at increasing tax collection efficiency, reducing corruption, tax evasion, and making movement of goods easier. More than 140 countries have implemented the GST, with France winning the race by doing so in 1954. It is important for the people and especially business people to understand how the GST and it’s rules varies from country to country. Not only this, it is even more important as the specifications and functioning of GST Software varies too. 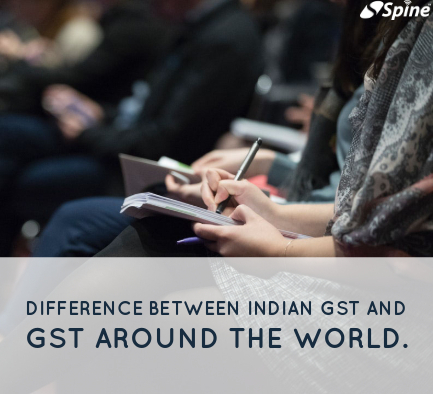 India has adopted the dual-GST model which can be seen in countries like Canada and Brazil. This has been done as India is a federal country where both the Centre and the States have powers to levy and collect taxes. Both the levels of government have responsibilities as assigned by the Constitution for which they need to raise resources. A dual GST, thus, justifies the Constitutional requirement of fiscal federalism. It’s still not a uniform tax as there are five tax slabs – 0%, 5%, 12%, 18%, and 28%. It technically is not a single tax. The distinctive factor in the Indian GST is the 18% slab, which is higher than any other emerging market economies. New Zealand adopted GST way back in 1986, where the tax for everything has been a singular slab. The slab stood at 10% until 2010, after which it was bumped up to 15%. The GST does not apply to residential rents and financial services. Businesses here can recover the GST as an input cost. Due to the fact that GST was adopted such a long time ago, the GST Software in New Zealand is much simpler and direct. Singapore has a universal rate system on every purchase. Initiated in 1994 with a flat rate of 3%, it was not until 2007 that the rate was increased to 7%. The Indonesian model is slightly complicated with imports being subjected to both VAT and GST, but most exports are exempted from the list. If the services are supplied out of the country by foreign taxpayers, the tax rate is 10%, and certain items are taxed at 20% with the maximum cap being 35%. Imports subjected to the luxury tax are marked between 10% and 50%. Most items like gold, mining products, arts and entertainment, education and medical health are not subject to pay any VAT. This broad range of tax slabs makes the pharmaceutical management softwares even more complex. There are three tax rates existing in the model: 0%, 5%, and 19%. China has maintained the GST applications over goods and the provision of repairs, processing, and replacement assisted services. This means that is partially collected on goods which are consumed in the manufacturing process as the fixed asset goods. The Canadian GST closely resembles the Indian GST with taxation regimes under three schemes: Federal GST, Joint Federal, and separate Federal. Federal tax is the predominant system while joint federal runs on the synchronisation between the economy and the states. Separate federal only applies to Quebec as it is deemed a quasi-independent province. The tax rate is 5%, except for some provinces where a sales tax of 15% exists. The USA collects taxes at separate levels ie the federal, state, and local governments. The federal tax rates are marked between 10% and 39.6% of the taxable income, while state and local governments mark the tax from 0% to 13.30% of taxable income. The standard tax rate is 20% and the VAT is added to the cost of goods and service prices. Some supplies are subject to lower rates like 0% and 7%. Generally, pharmaceuticals, medicines, and medicinal equipments incur the 7% slab while the export of goods and services are marked at 0%. These slabs are needed to be weighed in while creating or procuring a pharmaceutical management softwares. GST was born in France with 4 tax rate slabs. The rates here are chargeable in the slab of 2.1%, 5.5%, 10%, and 20%. Most of the goods are marked at the standard 20%. This was our take on how the taxation system varies from country-to-country around the world. You think we miss something that the readers must be told about? Feel free to let us know in the comment box or contacts us. Author espinePosted on August 20, 2018 August 20, 2018 Tags complication of gst, difference of gst in india, gst india, how to fill gst, Indian gst1 Comment on Difference Between Indian GST and GST Around the World. best for business, how to perform a given activity and how to manage your employees. trade, which one must know. 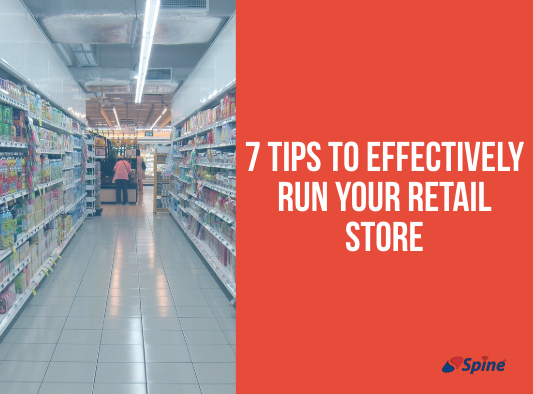 Here are 7 tips to effectively run your retail store. methodical in your research is the key to success. involved in successfully running a retail store. Here’s also where technology can come real handy. management of goods in a store. with consumers. Why is it that huge chains like Walmart and Target just seem to grow every day? than someone who is relatively amateur. providing. In this huge world, how will your business thrive if people don’t know about it? order to survive in this highly competitive market, you need to have an edge over your rivals. customers attracted to the reduced prices, thereby increasing your sales. the latest billing software or unique marketing strategies, the choice is up to you. What Should a Perfect Medical Billing Software Look Like? The advent of technology has made our lives easier in more ways than one can imagine. Advancements in science have seeped in so deeply into our lives, that a life without mobiles, computers, and electronic gadgets is unimaginable. The field of healthcare and medical sciences is no exception. Using the latest cutting edge technologies, researchers and doctors have been able to develop not only life-saving but efficiency-increasing machines and software, the kind which make the job of saving lives just that much easier. Talking about the financial aspect of healthcare, gone are the days when accounting of hospitals and chemist shops used to be done by hand. Computers have successfully aided man in quick and correct accounts management, especially when it comes to using medical billing software. NueMD, Navicure and Eclipse are all top medical billing software that are used by hospitals and doctors worldwide. Doctors, chemists and pharmacists take the help of computer software wherever they can, be it accounting, billing, or scheduling appointments. So, when it comes to a great pharmacy billing software, what all features must it have? The data of patients and customers is one of prime importance for hospitals and pharmacies. Therefore, it must be stored in a reliable manner. Cloud services are emerging as one of the leading data storage solutions, so it makes sense to incorporate cloud computing into a medical and pharmacy billing software. It reduces worry about server downtime and prolonged data fetch times. An automatic backup facility will only help in increasing server and data reliability. Storing billing information of patients, scheduling appointments and sending reminders is another set of features that a good medical billing software must contain. With the help of an efficient pharmacy billing software, doctors and pharmacists could potentially work less hours and cater to more patients than ever before. Since it is not possible to have access to a computer system 24X7, it only makes sense to have a mobile companion app to complement the medical billing software. The app should cover all basic features, such as the day’s billing information, appointments, claims and statements on demand. The app should run on preferably both iOS and Android, the most popular mobile platforms. Windows is not the only operating system people use on their computers. A great medical billing software is one which runs on multiple OSes without hassle, such as the Mac OS, flavours of Linux etc. Thus, having an efficient and effective pharmacy billing software is a must for doctors and hospitals. It relieves them from the tension of managing their accounts and practices, and gives them more time to concentrate on doing what matters most. Even for small chemists and pharmacies, software can provide an effective billing solution for medical stores. Thus, when choosing a pharmacy billing software for your requirement, keep in mind the aforementioned features, analyse your needs and wants, and choose the perfect billing solution for medical stores and hospitals. 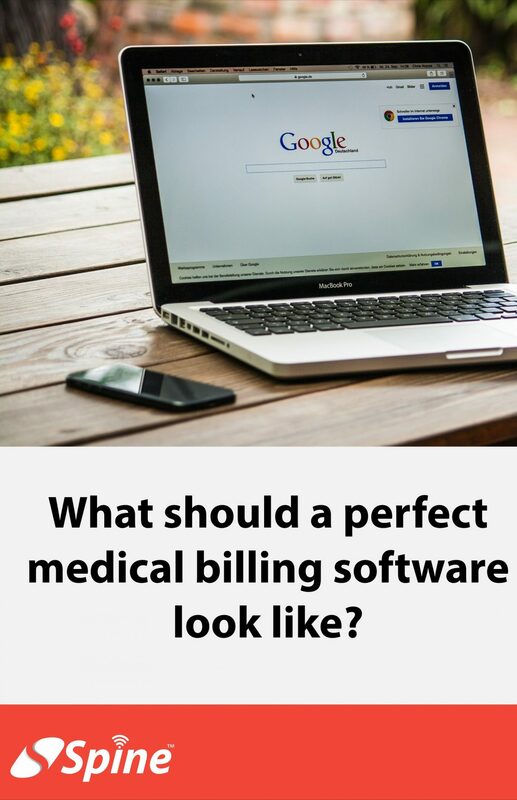 Author espinePosted on June 13, 2018 June 13, 2018 Tags features of medical software, softwareLeave a comment on What Should a Perfect Medical Billing Software Look Like? In the past, inventory Software Solutions were limited. They provided very few features and were difficult to use. Due to this, many pharmacies refused to use new inventory software as it would over complicate the daily workings of the pharmacy and any benefits would be delayed. Now however, inventory Software Solutions are extremely capable. Full of features, they allow users to add in and manage their work from previous financial years, which allows them to update their business working from the earlier dates. Inventory Software Solutions provide many advantages to pharmacies. While it’s true that being able to manage inventory levels and track goods throughout the supply chain is essential for any business, Pharmaceutical inventory software provides much more value to any organisation that uses it. 1) Providing better data for accurate decision making – By keeping an eye on profit margins, product performance as well as inventory levels, managers will be able to increase their sales and profits. Tracking the sales of different medicines will allow the users to make accurate predictions of which medicines will need to be stocked depending on the requirement. 2) ‎Synchronization – If a Pharmacy has multiple branches served by a distributor, synchronisation of data is absolutely necessary. By synchronising the data, managers will be able to tell when the reorder point will crop up for every single outlet. This makes the logistics of ordering and supplying much simpler, which can also help save money and earn a profit. 3) ‎Increased Efficiency – inventory management software helps managers automate a variety of inventory related tasks. The Pharmaceutical inventory software automatically collects data, creates records and performs calculations. It also transforms all this data into handy graphs making analysis much easier. This in turn boosts business efficiency. 4) ‎Warehouse Organisation – This kind of Pharmaceutical inventory software can also help distributors as well as retailers perfect their warehouse optimisation. By using Inventory management software to group popular products, and by placing them near the entrance for easy access, the process of picking them up is greatly hastened. By applying inventory management software to the warehouses, the chances of any product spoiling or going out of stock reduced drastically. The software also increases inventory visibility, making it easier to track all the products. 5) ‎Cybersecurity – By restricting user rights, companies can allow employees to assist with inventory management. By giving the employees enough access to receive products, order out of stock products, transfer products to other branches and perform other tasks, a great deal of the manager’s time is saved. The point of restricting user rights is to create levels of access. One employee must never have access to all the company data and files, as it creates a major weak spot in cyber security. Good cyber security is a combination of factors, and inventory and sales data protection is a part of that. This also protects company security and by dividing the work, speeds up the inventory management process. 6) ‎Expense – Since Pharmaceutical inventory solutions are mostly stored on the cloud, managing the inventory requires nothing more than internet access and Barcode Scanner. Even barcode scanners are now becoming obsolete since smartphones have QR code scanners. Since smartphones can function as QR code scanners and deploying cloud based software is inexpensive, the costs of using cloud-based software, internet, and scanning technology are reducing day by day. This drop in cost makes sure that any pharmacy can use the appropriate inventory management software to increase their business efficiency. 7) ‎Complexity – As time passes, Pharmaceutical inventory management software gets more and more intuitive to use. 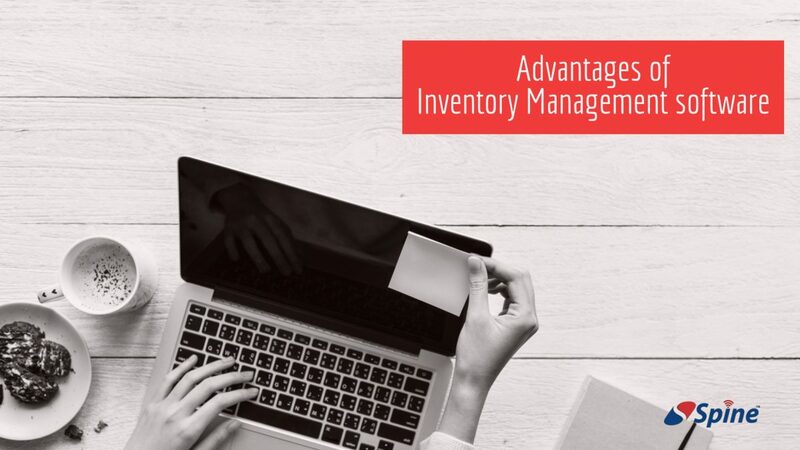 Despite the increasing complexity of business, inventory management software tries to keep things as clear as possible. Almost all such softwares provide training manuals to teach employees how to use it. Once the basic level of complexity is cleared, employees are able to use the software and all its features correctly. 8) ‎Quick deployment – Cloud based Pharmaceutical inventory software is extremely easy to deploy. The only thing business owners have to do is sign up for the subscription and start using the software via the internet. By connecting it to the warehouse database, the cloud-based software immediately catalogues the entire available stock. This kind of real time tracking and analysis is very helpful to business owners. Along with warehouses, business owners can even integrate this software with their outlets as well as their cloud-based accounting software. This kind of holistic integration leads to connectedness and reduction in multiple data entry. This enables the users to simplify their working. But connecting the inventory software to the accounting software has another benefit. It allows users to integrate GST billing into the system. With the GST software price rising day by day, this kind of integration helps offset that expense. 9) ‎Coordination – Properly used, inventory management software allows various departments to work together more efficiently. The software can help with coordination between different departments regarding stock transfer or orders. Mismanaged coordination can create bottlenecks of inventory, where one branch is getting too many orders, while others have too much inventory. This software reduces bottlenecks and creates inter departmental efficiency. Why is Accounting Software a Good Investment for Your Business? Simple accounting software is widely used in most small enterprises. However, as your company starts to grow, the computations and the account maintenance start to eat up a lot of your time. This drives your focus away from your business. While zeroing in on a top accounting software can get tricky, there are plenty of options available to ensure that the accounting of your business keeps running smoothly. With technology improving every day and plenty of breakthrough inventions being made, the most recent trend is that of a cloud-based accounting software. Let us try to understand and analyze as to why a cloud-based accounting software is a perfect option. What is the cloud in a nutshell? The best way to understand the working of a cloud is to understand how you access a lot of data online. For instance, when you use internet banking, you are accessing a cloud which has a lot of data saved. The cloud-based accounting software hence backs up your data and has various advantages which can be helpful for your business. What are the actual problems with a simple accounting software? The issue with traditional accounting software s that a lot of times there are changes that occur in calculations and the software needs to be updated constantly. When it comes to an online accounting software, the data keeps getting updated ensuring a smooth running of your system. Another issue is the single login access feature. Multiple people cannot access the important details when they need it because offline software cannot be updated in real-time. The backups take a lot of time, and the way the data is passed is extremely unreliable or example, through a USB). This, in turn, affects the work efficiency. Why do cloud and accounting software go hand in hand? The best part about using a cloud-based accounting software is that it can be accessed from any device, provided it supports an internet connection. It also helps the small business owners to stay in touch with the data and their accountants without any hassle. It is not only cost-effective but also simple and has a lot of features that lack in simple accounting software. Another advantage is that you pay based on your usage. You know what you are paying for as it is a monthly renewal subscription or any plan that you take which helps you keep a tab on your expense. 1. You have an all-time information of the financial position you are in, like live updates. 2. Since there is a multi-user feature present, it makes it much easier to coordinate and collaborate with the team. 3. The updates really help you keep a tab on all the important changes and gives you more time to pay attention to other important areas. 4. No hassle of back-ups, installations, and updates. 5. The cost-effective feature kicks in. You save up a lot on the upgrades, the system administration costs and cloud service providers are extremely trustworthy with their security. 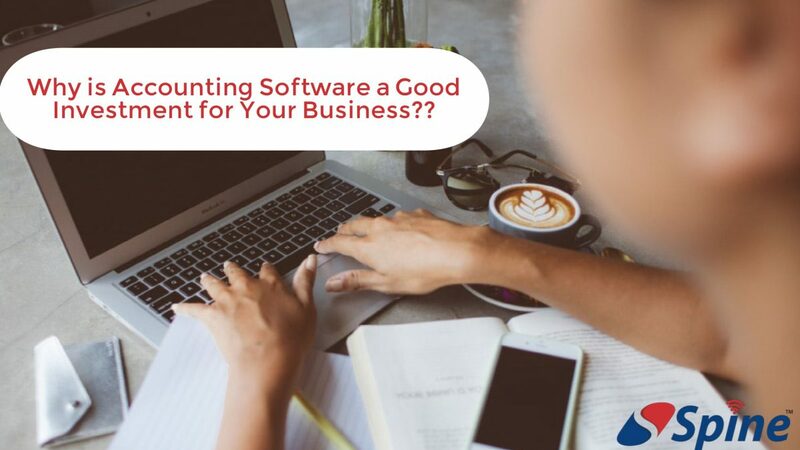 Author espinePosted on February 15, 2018 February 16, 2018 Tags cloud based accounting software, gst accounting software, online accounting software, small business accounting software7 Comments on Why is Accounting Software a Good Investment for Your Business?